Stephen and Meliah Get Married! 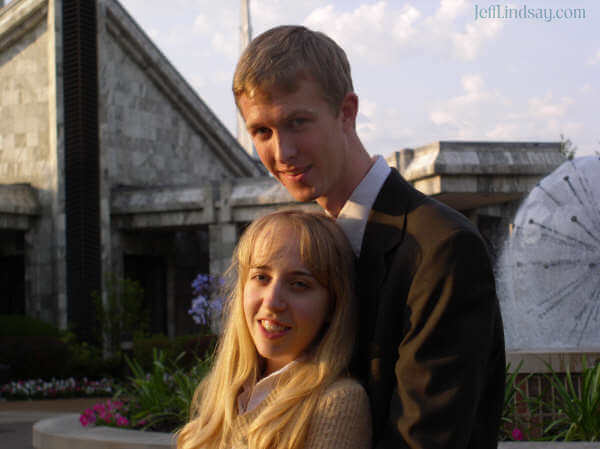 In July of 2004, my son, Stephen Lindsay, recently returned from an LDS mission in Argentina, married Meliah Lipp. 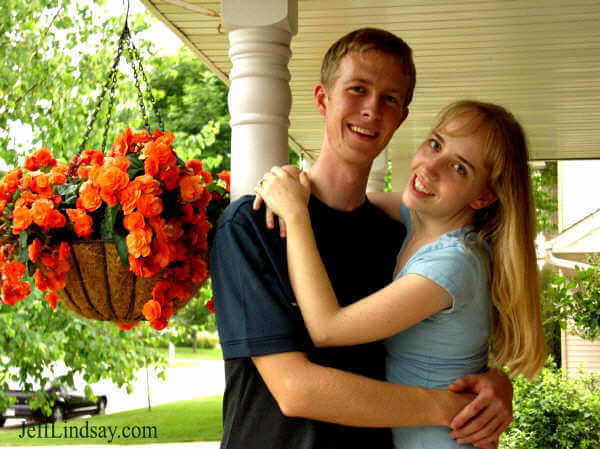 (He thinks it was his choice - but if it had been an arranged marriage, his wise parents would have picked her anyway.) 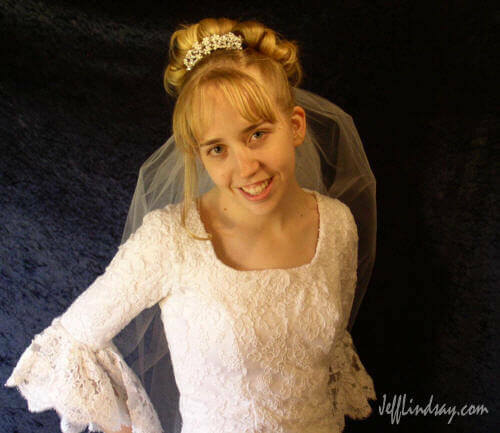 I had the honor of doing the photos for the wedding. Below are a few of my many shots from the occasion and shortly before. Also see page 1, page 2, and page 3 of my favorite photos - plus my favorite photos from 2004 and 2005, more favorites from 2005, and my favorites from 2006. Stephen and Meliah at the Chicago Botanic Gardens. 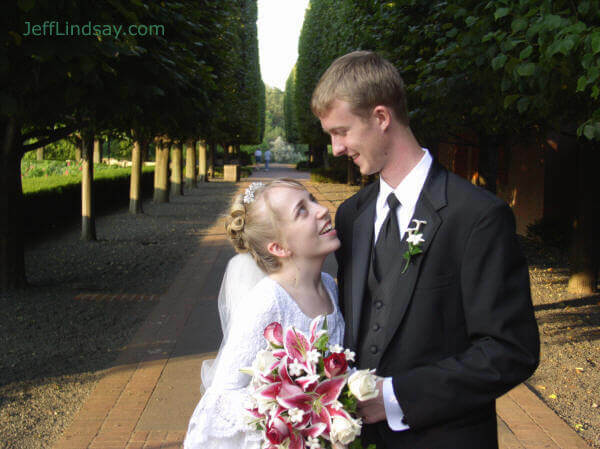 Stephen and Meliah at the Chicago Temple of the Church of Jesus Christ of Latter-day Saints (Glenview, Illinois). 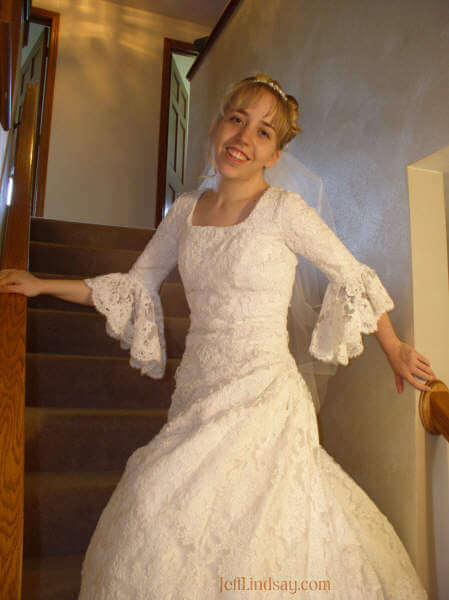 Meliah in her wedding dress a couple days before the wedding. Stephen and Meliah a few days before the wedding at the Lindsay home. Meliah on the stairs of our home. Stephen, Meliah, and her bridesmaids, at the entrance of the Chicago Botanic Gardens. 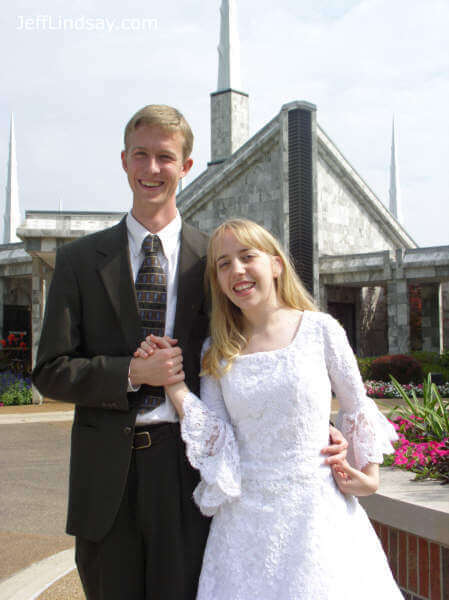 Another view of the couple at the LDS Chicago Temple. 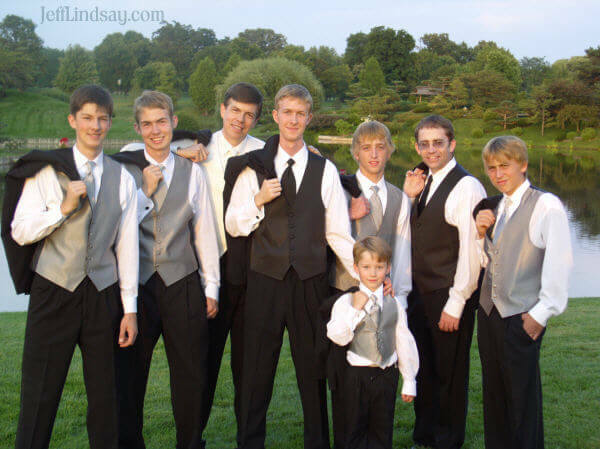 Stephen and the groom's men at the Chicago Botanic Gardens. 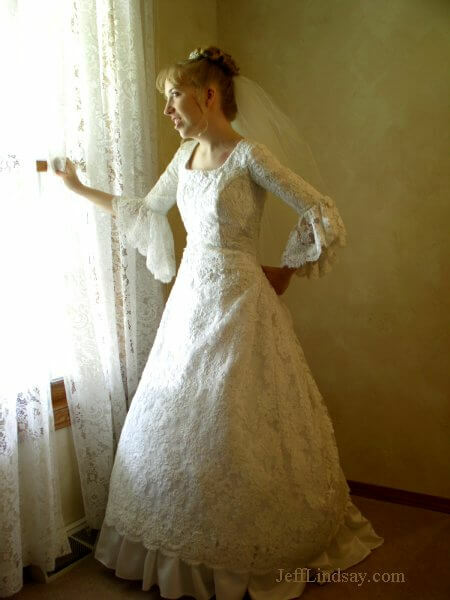 Meliah in her wedding dress at our home. 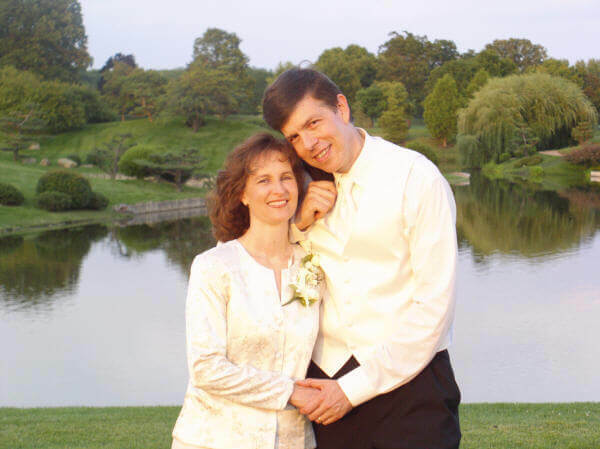 Stephen's happy parents, Jeff and Kendra. The bride and her bridesmaids in front of a lake at the Chicago Botanic Gardens. 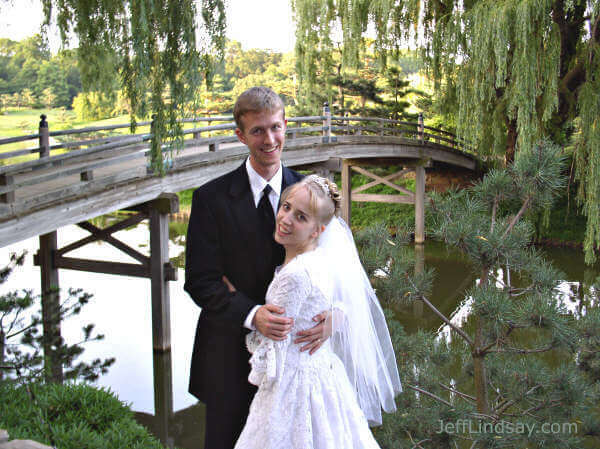 The happy couple at the Chicago Botanic Garden, one week before the wedding. 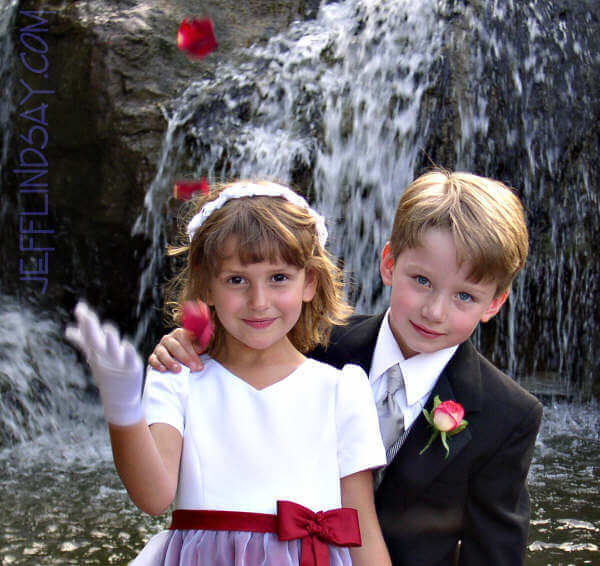 Two children as the flower girl tosses some rose petals. 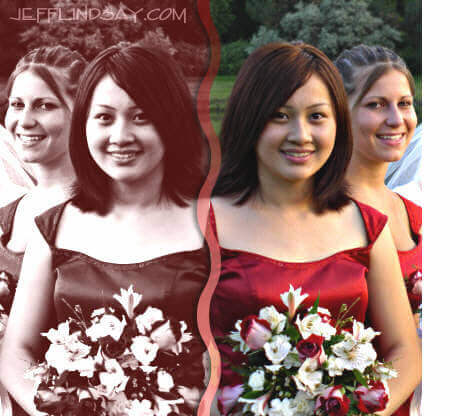 Two bridesmaids - another version of the previous photo. Collage of Julie, Meliah's sister and friend of our family. 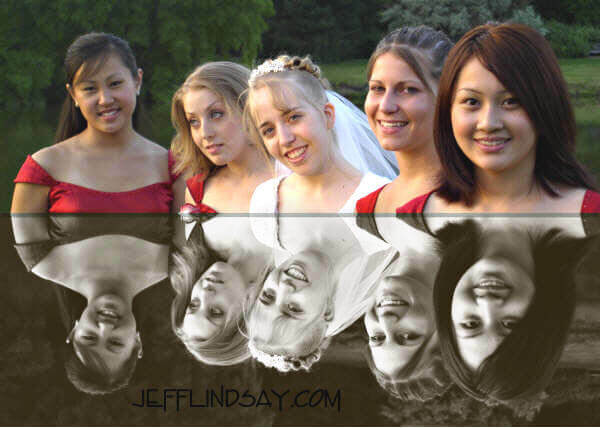 All photos are copyright ©Jeff Lindsay, 2003-2013, and are the property of Planet Lindsay, LLC. Please request permission before using photos for any purpose.